How to smash your targets on Amazon by cracking the A9 algorithm! How to smash your targets on Amazon – cracking the A9 algorithm! So what is Amazon’s A9 algorithm? Whether you are an established e-commerce professional, or a new seller just starting out, you may have heard of A9 at some point. But what exactly is Amazon’s A9 algorithm? In a nutshell, it is the name of Amazon’s search engine algorithm. It is the strategy that lies behind Amazon’s search box, which decides what product recommendations to show the consumer. It is based on data from thousands of search queries that have been made on the platform. Imagine you’re working as a member of staff in a retail showroom on a ‘commission only’ basis. When a customer comes into your store via a recommendation from a friend or family member, they are more likely to ask for you, based on your excellent track record of sales and product knowledge that you provided to your first initial contact. As a result of this recommendation, you have now ended up with two sales. A9 is no different. The more you sell on Amazon, the more Amazon will increase your visibility and the higher you will rank. Lightning deals– A short-term promotion in which a limited number of discounts are offered. These deals are available until either the promotion timer expires orall the discounts are claimed. Lightning deals are a great way to create urgency and are ultimately Amazon’s version of a literal flash sale (mind the pun!). Coupons– You can generate Amazon coupons to give an extra incentive to those indecisive buyers. This not only gives them a percentage discount but generally creates a sharp surge of traffic, increasing sales velocity, which in turn will increase your ranking. Deal sites– Deal websites are a great way to promote your products. They work by promoting your listings on their platform, and if your product has a high visibility on their page, you will drive more organic traffic, leading to increased sales and higher revenue. AMS and AAP…..the jargon explained! Amazon Sponsored Product Ads – These ads appear on product listings above search listings on a desktop and above on a mobile. These are targeted ads that appear in locations where the customer is likely comparing different purchase options. The best strategies for using Amazon Sponsored Product ads include both single search term keywords, and multiple term phrases. Amazon Headline Search Ads– Driven by keywords these ads appear across the top of the page, not dissimilar to a banner ad. This feature is available to use on both the seller and vendor platform and provides a boost to attract customers at the start of their buying journey. The main goal of a headline ad is to reduce friction for your shoppers by putting the most relevant products in front of them. Amazon Product Display Ads– Another ad type exclusive to the vendor platform is Product Display Ads. These ads can be product or interest-based, and appear on a competitor’s product page. These ads are the last ad a consumer will see before clicking the ‘Buy’ button, giving the ads a more offensive/defensive approach that may not be achieved with other ads. AAP, short for Amazon Advertising platform, is Amazon’s own demand-side platform. With AAP you can work alongside Amazon’s account team to plan and execute campaigns. Alternatively, you can work on a self-serve basis to tackle programmatic buying on your own accord. AAP offers a variety of ad placements and allows you to truly get creative. Showcasing a variety of eye-catching ads will not only increase brand engagement but aid in driving traffic to your landing pages. AAP also has the facility to target users outside of the Amazon platform, resulting in increased awareness of your products. A+ Content– Imagine you are being graded at school, A+ is simply the highest level of content you can have on your listing. This premium content consists of descriptions, rich images, narrative copy and charts. A+ content assists the consumer in making informed buying decisions. A+ content can increase conversions by an average of 3-10%, by creating enhanced brand awareness. When our client SIGG came on board, we had a 150.3% increase in revenue with the implementation of A+ content. Fulfillment by Amazon– By using Amazons fulfillment service (FBA), you automatically qualify for Amazon Prime. With over 4 million UK customers being Prime members, this opens up a massive window of opportunity for any company. FBA membership also means that Amazon will take care of all your logistic needs, meaning there’s no more worrying about bulk storage and dispatch times. Amazon will do all of the heavy lifting for you (in the literal sense), meaning your customer gets their product in a swift and efficient manner. Discounts– Customers are always on the hunt for the best deals out there. A sure-fire way to enhance your product visibility and conversion is by offering a discount on your products. Not only do discounts improve your listing visibility, they assist in gaining reviews too. On Amazon, you can also filter your search results by discount, meaning you will appear at the top of the search results. Bundles– Do you want to provide the best value to your customers and reduce your buy box competition? Of course you do! Listing bundles are a great way to up-sell your products and provide a barrier for competitors trying to track your ASIN. The main benefits of product bundles, is that it creates a unique ASIN that increases your chances of Buy Box ownership. Essentially, when a reseller creates a bundle pack, they become the brand for that specific ASIN. A9 is an ever-maturing algorithm, so it’s important to keep up to date with updates and changes. One of the main factors that separates A9 from the likes of Google’s algorithm, is its focus on simplicity. Whereas Google is a platform that dominates product research, Amazon is generally a buying platform where customers are often close to the point of purchase. In order to rank highly on Amazon, it is important to ensure your listings are highly optimised. With our client Yarmo, we increased their sales revenue by 78% after implementing optimised listings. Relevancy- Listings must be populated with as many relevant terms as possible, to increase visibility, sales rank and overall search rank. A9 ranks relevance in a different manner to other search engines. Amazon evaluates its algorithms based on human judgments, key metrics, programmatic analysis and performance metrics. Therefore it is of the utmost importance to ensure exact text match terms are researched prior to creating a product listing. Product titles- A product title on Amazon should consist of these main factors: Brand name, variant, quantity and keywords. Amazon titles have a 250 character limit, so it’s a great opportunity to showcase exactly what your product offers. We have to bear in mind though, that despite the large character allowance, ‘keyword stuffing’ should be avoided as this can lead to demoted rankings. Keywords- Having optimised keywords in your listing can dramatically affect your page ranking. 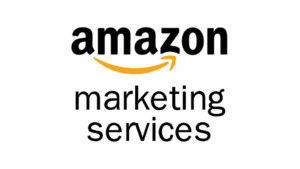 They are the driving force for product visibility in Amazon’s results. If relevant keywords are missed from your product description, it can result in your listing not showing up at all, when ideally you are aiming to be on the Top 3 pages. On Amazon, customers expect to find what they’re looking for quickly. This means that many customers tend to be more detailed about what they’re searching for from the start. In comparison to Google, 70% of customer searches are long tail on Amazon. Enhanced Brand Content– To be successful on Amazon, it’s important to pay attention to what keywords are performing highly in converting sales, and enhancing your product listing. The discover the highest performing keywords, it’s important to conduct accurate keyword research. Once you have relevant keyword terms, your goal is to strategically place them in the product title, features and description. High-resolution imagery will work wonders for your Amazon listings, but nothing will truly bring your products to life like videos! Videos can give a great insight into product functionality and explain features that are not possible in product images alone. Video content is exclusive to those using the vendor platform as part of their enhanced content experience. Not only does video content get consumers engaging with your product page, it also increases the amount of time visitors will spend on your webpage. In a recent study conduct by Adobe, it was discovered that shoppers who view a demo video are 1.81 times more likely to purchase than non-viewers. Throughout this article, there’s one word that we find cropping up again and again….relevancy. It sounds simple, but of course comes with its complexities. The A9 algorithm will rank your listings depending on how relevant your listing is to a consumer’s search term. Based on this, it is vital that your product specification contains as much information as possible. Your product specification is different to your product features. This is the part of your page where have the opportunity to list your technical and physical details of your product. Your product specification will include factors such as the size, colour, weight and material of your product. The more complete your product specification is, the more Amazon knows that you are diligent when it comes to your listings and as such will rank you higher. Another way the relevant product specifications will help your listings, is that it assists the consumer in their buying journey when it comes to decision making. If the consumer has all the relevant information in one place, they are more likely to convert due to the assurance that the product listing has given them. In the long run, having a detailed product specification can also decrease your returns rate, due to the customer being provided with the utmost clarity on the product in the first instance. Amazon is a platform built on core commitment to their customers. The consumer has a huge influence on your conversion rates and plays an important role in the ways of SEO. On the Amazon platform there are many ways that the customer can engage with the seller, the main features being product questions and seller feedback. With how the A9 algorithm works, the higher your seller feedback, the higher you will rank on the SERP. Naturally, when a customer is happy with your service, they are more likely to be loyal to your brand and not shift to competitors. In the long run, this is an excellent strategy for increasing your customer lifetime value. Having a high customer retention rate will also lead to an increase in profitability. Customers who have made a repeat purchase are a valuable asset to any company, as they assist you in creating maximum returns on the investment already done. Customer questions appear on your product page, below the special offers bar. These are published publicly and can be answered by the seller, or alternately other consumers. Answering questions is a great way to engage with the customer. Responding to consumer queries demonstrates that you care about customer satisfaction and have confidence in the listed product. In simple terms, the higher your feedback, the higher you are likely to rank on the product page. Products with a high star rating are more likely to rank highly, compared to a product with a low score. A consumer browsing your products on Amazon, is more likely to convert on a product with a high rating as they will have more confidence in the product. If a product has a number of low rated reviews, the consumer is more likely to click away, resulting in a lower conversion rate. If a customer does happen to leave a negative review on your product, all is not lost! Responding to negative reviews is a vital part of SEO which often goes overlooked. However doing so demonstrates that you care about customer satisfaction and are less likely to scare away potential customers. When responding to a negative review, you have the option to manage any collateral damage by providing the customer with after sales options, product usability instructions and managing delivery issues. A summary: How to amplify your sales on Amazon! 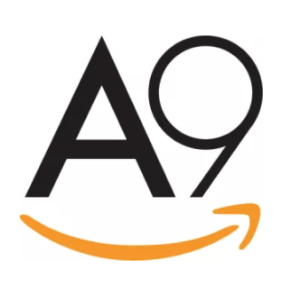 Now you have had the opportunity to have a look into the depths of A9, we can conclude that by focussing on product relevancy, high-quality media files, all while maintaining a high customer focus, you can increase your ranking on Amazon with a detailed retail strategy. Sponsored advertising and promotional pricing can drive traffic to your product, improving sales and, ultimately, product ranking. We’ve also seen customers who ranked several spots higher by increasing the average order value of their product. Experiment with what you’ve learned in this article and watch your velocity and sales rates rise. 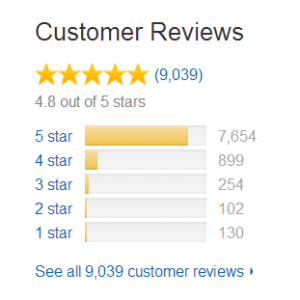 Keep in mind that Amazon prioritizes profitability in their ranking process. Sell more and you’ll rank higher, which will lead you to sell even more and rank even higher. Win-win! This article first appear on Marketplace AMP's Amazon Consultancy blog. I amplify sales for consumer brands and products on the world's marketplaces such as Amazon, Alibaba, JD.com and eBay. I am the co-founder of Marketplace AMP, an specialised international team of e-commerce techs and retail marketing specialists. We cover all aspects of setting up, managing, optimising & advertising on the world's marketplaces We AMPlify sales for your brand by outranking, outbidding or outselling the competition on Amazon, eBay, TMall, JD.com or Alibaba. For the last 15 years I have also developed our sister agency Montage Communications to be renowned as experts in consumer 'omni channel' marketing. Montage helps grow FMCG, Food, consumer electronics & homewares brands. I have worked with with Brabantia, SIGG, Jenolite, Soak.com, Sphero, Groov-e, Dishmatic, Somerdale, B&Q, Hillfarm Oils, Crude Drinks, Starbucks, Camelot, Pilgrims Choice, The North Face and the British Council to name but a few.